Single Sign-On (SSO) allows a user than has been authenticated by the MFP (for example, through a keycard identification system) to automatically pass those credentials on to the Udocx services. This feature allows the user to have immediate access to Udocx without the need to login multiple times. Single sign-on is available for HP, Xerox and Sharp MFPs. 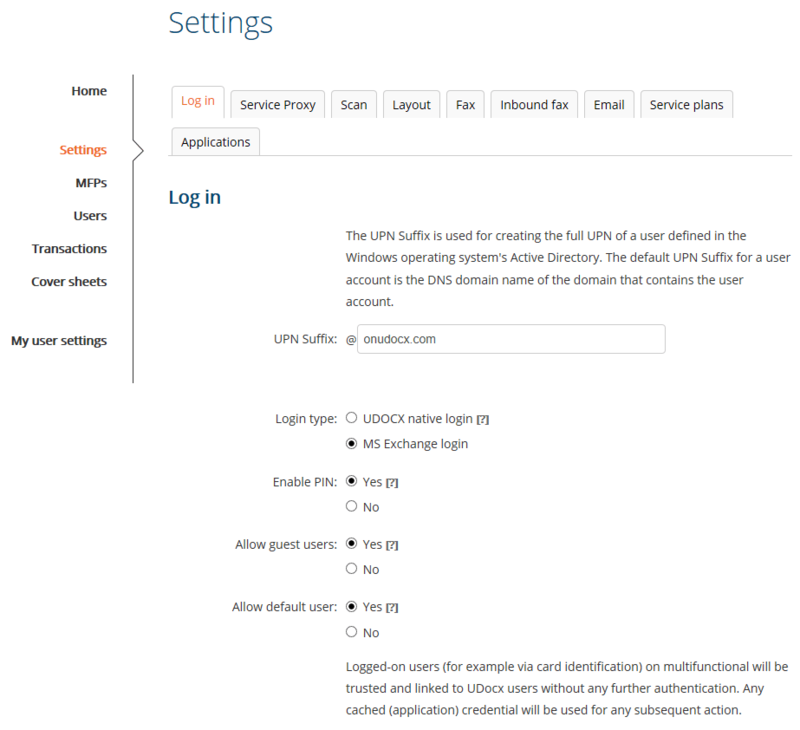 1.From the Udocx administrator portal, select 'Settings' from the left menu and the 'Log in' tab. 2.Scroll down the page to locate the Single Sign-On option to enable it. 3.Click [Save] to save your settings. 5. Click [Save] to save your settings.